unknown fact is several actors and actresses have expressed their support for Vijayakanth and decided to acquire primary membership of his party. The reason? A well-known political leader in Tamil Nadu is a nemesis to the industry with his unsolicited advice on films. The perception in the field is that Vijayakanth could be a rallying point for the film folks. He has the image of being the saviour of the problems in the industry. 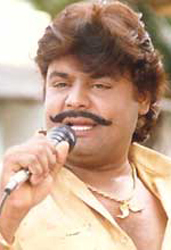 The first person to express solidarity with Vijayakanth is Mansur Ali Khan (who had an earlier stint as a politician for Pudhiya Thamizhagam). He has got up several hoardings all over Chennai exhorting people to attend the convention at Madurai.